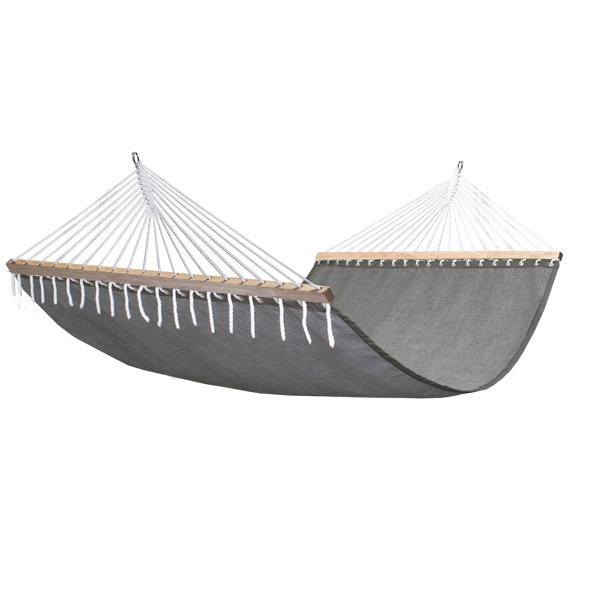 The poolside double hammock is available in a textured light taupe colour for a relaxed linen look. With quality fabric that is resistant to UV, water and tested against chlorine, this hammock offers superior durability and neutral tones, making it the ideal accessory to any backyard pool or outdoor area. Our high-quality PVC coated polyester is woven together with Ole?n to create a cotton feel, durable fabric that is UV and water resistant. Resists degradation and colourfastness against common pool chemicals such as chlorine.